Private cloud storage is a scalable, easy-to-manage, multi-tenant, billable storage service that allows partners to offer all of their customers a secure, off-site storage location where they can protect their data with a couple clicks. Offsite storage is a crucial piece of every data protection strategy, and with private cloud storage, customers know their data is in the hands of people they trust. 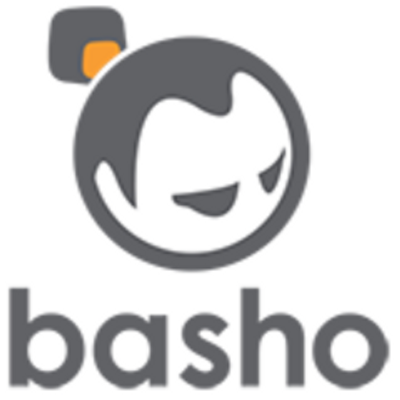 Retrospect 11 for Windows and Retrospect 13 for Mac are certified with the free open-source private cloud software package Basho Riak S2. NOTE: Riak S2 is no longer supported by Basho. We recommend using Minio or Zenko for on-premise cloud storage. Riak S2 (Riak CS) is easy-to-use object storage software built on top of Riak, Basho's distributed database. Riak S2 is designed to provide simple, available, distributed cloud storage at any scale, and can be used to build cloud architectures—be they public or private—or as storage infrastructure for heavy-duty applications and services. Riak CS's API is Amazon S3 compatible and supports per-tenant reporting for use cases involving billing and metering. Scalable: Scalable to petabytes of object storage, Riak S2 lets you easily add capacity using commodity hardware for near-linear performance increases. Multi-Tenancy: Riak S2 provides per-tenant reporting on usage data and statistics that support billing and metering for multi-tenant deployments. With the Riak CS Reporting API, you can access per-tenant usage data and statistics over network I/O. This reporting functionality supports use cases including accounting, subscription, chargebacks, plugins with billing systems, efficient multi-department utilization, and much more. Easy to Install: Installing Riak S2 requires just three components and increasing capacity is easily accomplished by adding nodes to the cluster. The software is open source and available on GitHub. See Riak S2 product information and Riak S2 documentation for more details. Create a virtual machine with Ubuntu 14.04 LTS. Enable SSH and set a static IP for the system. Follow Riak’s instructions to install Riak, Riak S2, and Stanchion using the .deb files. We used v2.1.0. Follow Riak CS Configuration for configuration. # listener.http.internal = (machine ip):8098 # Comment this line out. listener.https.internal = (machine ip):8098 # Comment this line in. You can forward port 443 to port 8080 (which riak-cs uses for connections). sudo sh –c "iptables-save > /etc/iptables.rules"
Create a bucket using Cyberduck. Follow our guide for setting up a backup: Cloud Backup - How to Set Up a Cloud Backup.